A friend of mine purchased this approximately 30 years ago and gave it to me. I don’t know if it is an ash tray and cup holder or what. 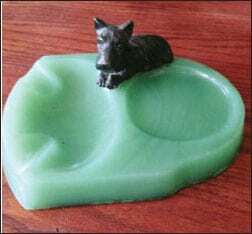 It appears to be jadeite, and the overall base dimensions are approximately 5 inches wide, 4 inches deep and ¾ inch high. The Scottie is metal. The only thing on the bottom is “Pat Pend.” Can you tell me anything about it? 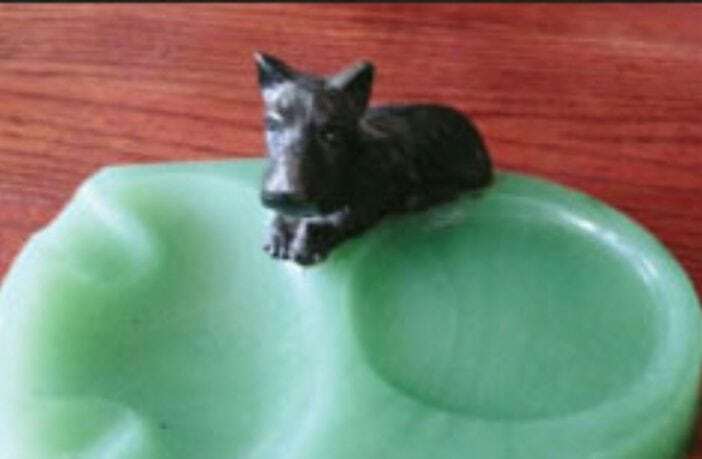 Jadeite or any green glass and Scottie dogs are a valuable combination. 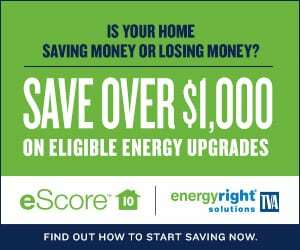 I believe you could ask more than $100 for the piece. I think it is meant to hold burning cigarettes and their ashes along with a drink. The round indention must be a coaster. My uncle said this was from his family in Germany. 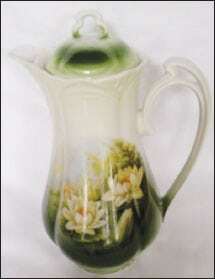 He called it a “chocolate pot.” According to his history, the item would be over 100 years old. I have enclosed a picture of the bottom markings. It is in perfect condition — no chips or cracks — and appears to be hand-painted. 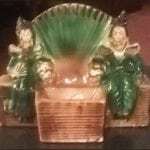 I would appreciate any information you might be able to give me and any valuation. Yes, the porcelain water lily pattern pot is for serving strong hot chocolate. 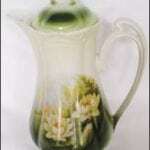 It was made by Unger & Schilde of Roschuetz in Germany for John Roth, a distributor of ceramics in South Bend, Indiana, between 1909 and 1916. It is at least 101 years old. Older is not always better for value, however. Similar pots sell for $12 to $45. If the piece is hand-painted, you will see brush strokes. It may be a decal. If so, with a magnifier, you will see tiny dots and a faint fold or tear from applying the decal on a curved surface. This was my great-grandmother’s lamp. I don’t know where it came from. 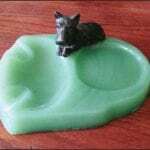 I have been trying to find some information about it. The sticker inside the basket is from some handkerchiefs that Granny bought many years ago. The lamp still works and is beautiful when turned on. In the 1950s, American consumers were buying their first televisions. It became stylish and easier on the eyes to have ceramic figural lamps fill the empty space on top of the TV. 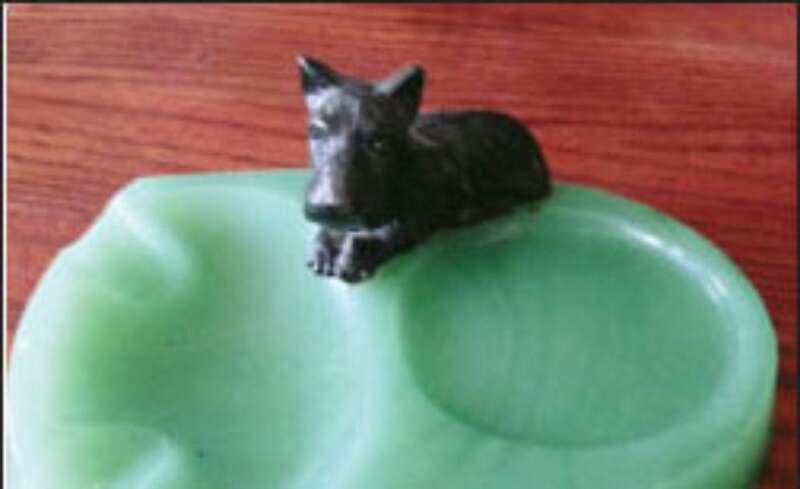 Equally popular were sleek animals and Asian figure lamps. Figures are typically set in a vibrant, retro color vignette like a boat or bench. They sell for $20 to $75. It’s never wise to push your luck on original wiring. New wiring doesn’t hurt value. 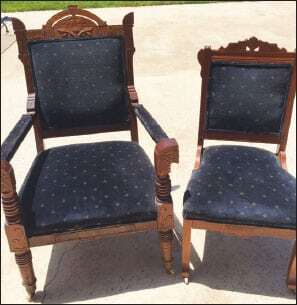 Could you please give me an idea of the value of these chairs? We have seven total. From the looks of the carvings/decoration, I would guess they are from the Middle East. Your walnut Victorian chairs were made in the United States circa-1890. The armchair is a gentleman’s chair and the smaller a side chair. 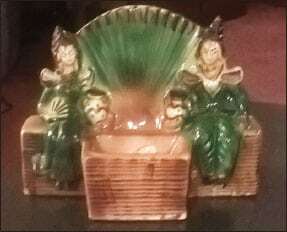 They were part of a parlor set. Offered in early mail-order catalogs, buyers could mix and match a sofa or settee with straight chairs, armchairs and base rockers. Today, similar chairs are offered for $45 to $125. 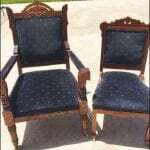 Buyers are looking for singles or pairs of chairs at VERY low prices to paint and reupholster for splashy seats.